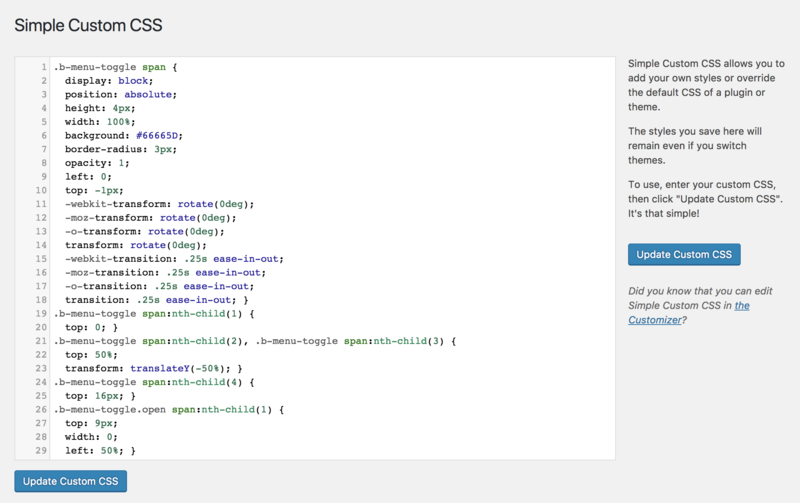 After nearly 2 years, I’m proud to announce that Simple Custom CSS has received a big upgrade! I was fortunate enough to work on the first iteration of the WP Customize Code Editor Control and associated “Additional CSS” Customizer section released in WP version 4.7. It was a huge learning experience, and my first major contribution to WP Core. I’ve taken the lessons learned during that release to bring you a completely updated version of Simple Custom CSS! I’ve updated Simple Custom CSS to now use the Customizer, allowing live previews of your CSS before you save any changes. I’ve styled the WP_Customize_Code_Editor_Control to give a similiar experience to the Core “Additional CSS” section, meaning that the editor is full width/height so that you have more room to view your code than the default display of the edtor. And, just like Core, this supports CSSLint. The Settings page now supports CSSLint, which means that it will clearly point out syntax errors. I’ve also modified the colors there to show more contrast, and to more closely match the core WP CodeMirror styles. I’ve also updated the packaged CodeMirror to the latest versions. These hadn’t been updated in nearly 4 years. There are a few features I’d like to build out in the future, including support for Sass and LESS. 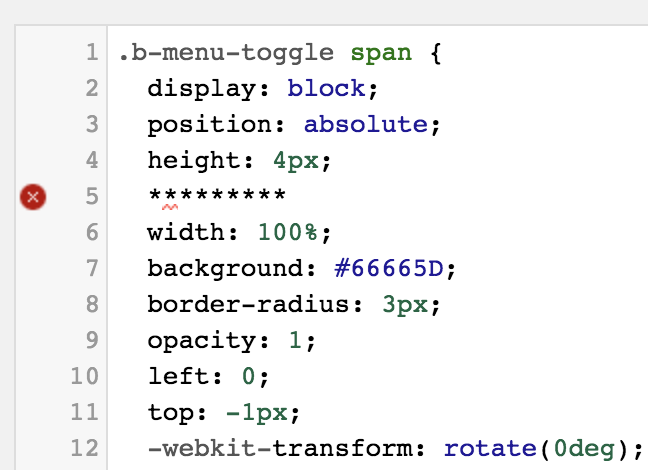 I have some ideas on how to do this thanks to Weston Ruter’s WP Custom CSS Demo Plugin. Eventually, I’m going to remove the plugin’s packaged CodeMirror scripts. WP core now includes the same CodeMirror scripts that have been used in the Simple Custom CSS settings page, but I’ve kept the plugin’s packaged CodeMirror JS just in case you’re running an older version of WP that doesn’t yet have CodeMirror support. I also want to move the Customizer code to JS. I’ve seen a lot of others use Simple Custom CSS as a base for their plugins and theme tools (which I think is great!) and I want to keep it in PHP for a while so other developers can better follow how I’ve set it all up. I hope this will lead to more widespread adoption of the Code Editor Control. Much further down the road, I want to remove the Settings page altogether. I’d like to see wider adoption of the Customizer for settings, plus at this point for the plugin it has become redundant to maintain both editors. When I do that, I’ll be sure to notify everyone in advance, and perhaps just point the “Appearance > Custom CSS” link to the Customizer Section directly. I’d love your feedback on this. I built this plugin out of personal need back in August 2013, and at the time I had no idea how much of a help it would be to others in the WP Community. 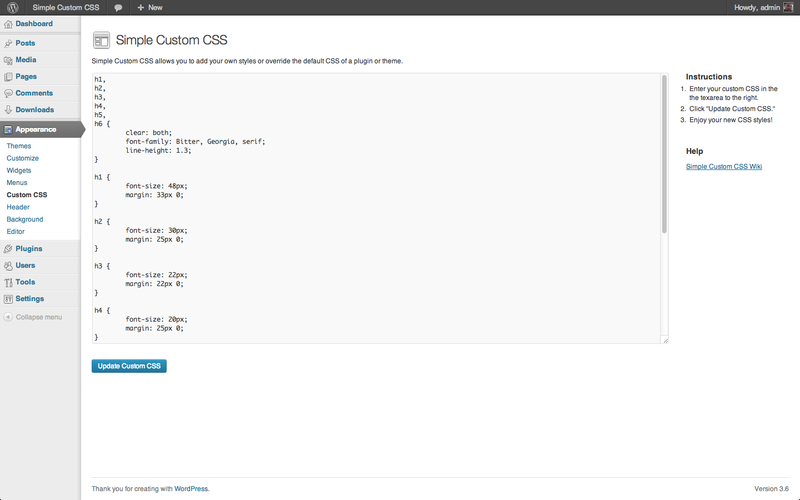 It’s thanks to you that Simple Custom CSS has come so far! Your feedback and support have been so encouraging to me over the years, and I love having a way to give back to the Community that has given me so much. I hope this update will make the plugin even more useful to you and give you a more powerful editing experience. Here’s to many more years of Simple Custom CSS!